The Pearl Izumi P.R.O. Softshell WxB shoe covers use 100 g of Primaloft® One insulation to make sure your feet stay warm in the most demanding winter conditions. They encase it behind dual-layer WxB waterproof breathable fabric that's been seam-sealed to make sure your shoes and toes have the utmost protection from the wind and wet alongside the cold. 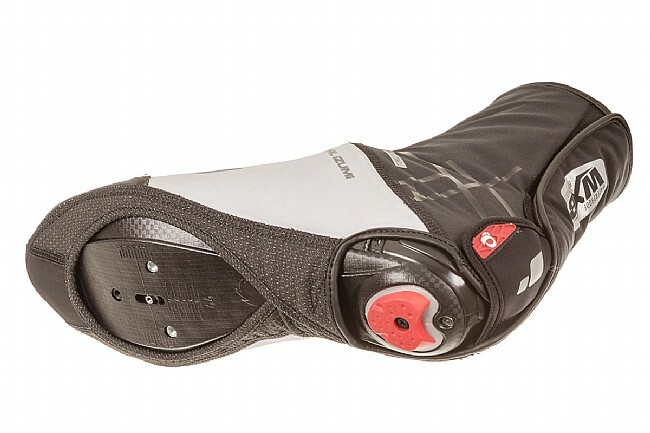 An anatomic fit combined with Pearl Izumi's Mk2 two-stage hook-and-loop closure makes for a bootie that contours close to the shoe and body, improving comfort and weatherproofing. Kevlar® bottoms spread open for easy on and off while making the P.R.O. Softshell WxB and shoe cover that's durable and dependable. they're great. Keep my feet warm. Easy to slip on and off, though a little tight to velcro on the back. These covers keep feet warm during cold months, sizing is correct, easy on and off. My feet have always gotten cold whenever it gets into the 50s and on down. 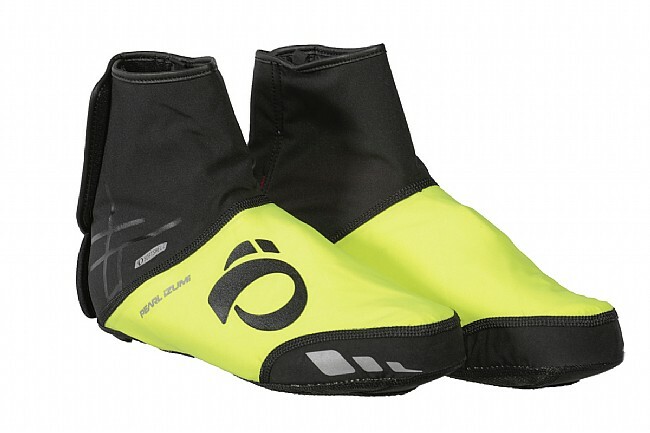 I have been able to use these down to the low 40s and my feet no longer get cold after riding for more than an hour. They work really well and the size will fit at least a 45 Even though the sizing chart recommends XL. The description says that it is a two layer waterproof fabric for Insulation and weather protection. I have not used these in rainy weather, But they are just hook and loop in the back and theyre open on the bottom. Great for keeping your feet warm on super cold days. Wore these on a double Century with the temp starting in mid 40s. They kept my feet toasty till it warmed up. I will be using these on my winter night rides! 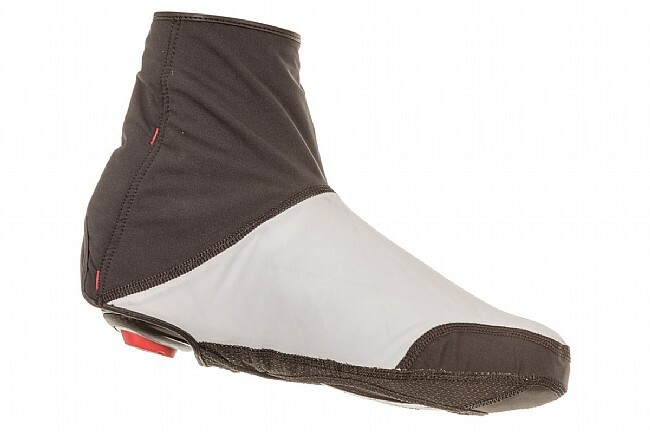 I needed a pair of better insulated booties as my Louis Garneau neoprene weren't keeping my feet warm in sub-35 degree weather when riding on the road. When I spotted these P.R.O. Softshell cover with waterproofing, I decided to buy a pair and try them. They have not let me down as I had put them through rainy ride, a sub-30 degree wind chill ride and puddle splashing ride. The hi-vis yellow and reflective logo is a bonus since I do alot of rides after work when the sun is about to set. Shoe cover is warm. The on-line picture makes it look black and silver but it is actually black and white. Order one size larger!